Today’s military is more technologically advanced than at any other point in history. This presents many advantages in strategizing for, equipping and executing missions; however, there are also some challenges. Wireless communication, in particular, is becoming more complex due to limited availability of frequency bandwidths and signal crossing brought about by increasing electromagnetic interference (EMI) from wireless devices. For instance, a handheld device could be corrupted by EMI from a military vehicle’s GPS. Missed or garbled transmissions aren’t only frustrating for the troops, it can put them in harm’s way – and that’s never an acceptable outcome. Preventing EMI in plastic devices and components is possible with EMI shielding. 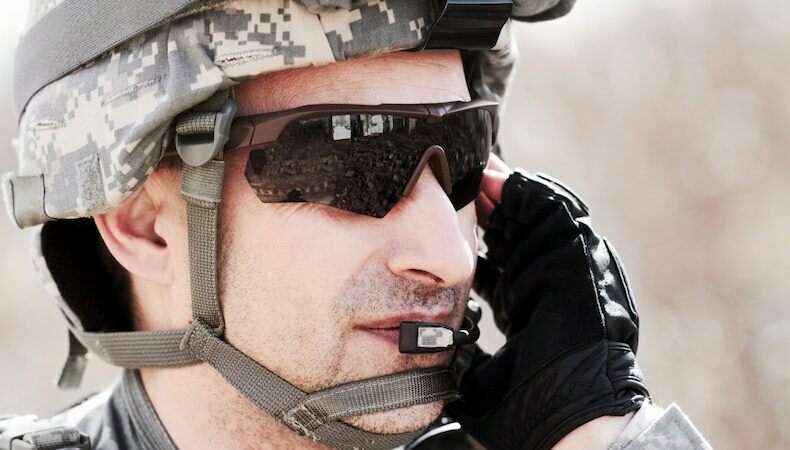 EMI shielding is exactly as it sounds – using conductive or magnetic materials to surround electronics and components to reduce the electromagnetic field and, essentially, block interfering incoming or outgoing electromagnetic frequencies. EMI shielding is very adaptable in both techniques and materials used, which makes it practical for military applications. A tank or other transportation vehicle might incorporate EMI shields in its body to create a physical barrier between static from the outside world and the intricate electrical devices inside. EMI shielding might also be used in conjunction with air gapping – or isolating – secure military computer networks from unsecured networks to maintain high levels of electronics security. In the case of smaller applications it’s important to note that complete and continuous enclosure is unnecessary. As long as any openings don’t exceed the size of the electromagnetic waves to be blocked, shielding is successful. Handheld field equipment, for example, might contain metallic mesh inside to separate interference-causing internal components, or wires might be coated with a metallic foil or braid shield to block internal and external electromagnetic frequencies. As for materials used, electromagnetic frequencies can be blocked by a variety of materials that dissipate interference by either reflecting the radio waves or by absorbing them. Specialized coatings, like paints and vacuum metallization, are typically called upon for reflection, and compounds such as some plastics and conductive fabrics are used for absorption. The basic difference between coatings and compounds as it relates to EMI shielding is self-evident. What’s a little more complicated is how they impact shielding effectiveness. Generally speaking, compounds can be molded into physical critical-use plastic products without compromising design complexity, product size and shape, or shielding efficiency. Coatings, on the other hand, are somewhat limited. The scope of design and size options available for coating are more narrow than that of compounds, and coatings can be vulnerable to scratching and delamination if not properly applied, which could lead to limited effectiveness – or even failure – in the field. That’s where working with an experienced complex injection molder is valuable. Their expertise can guide the selection and use of plastic resins and compounds or, if the application warrants, identifying the ways in which coatings can be practically and beneficially used on plastics in combatting EMI. ITAR-certified molders like Kaysun are best bets for military/defense contractors seeking a true partner in protecting sensitive electronics and, by extension, the troops in the field. Find out more in Plastic Materials for Safety and Reliability, a Guide for Military & Defense Applications. Click the button below to download your free copy.